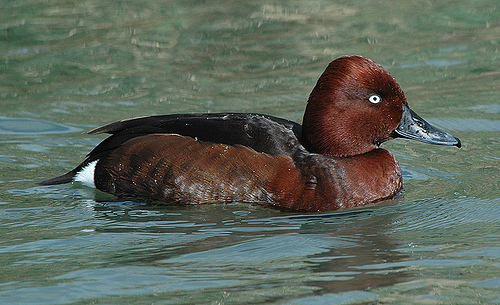 Usually, you will only see the Ferruginous Duck in western Europe in winter. In summer it breeds mainly in southern and eastern Europe. Typical is the almost completely white eye.